The 70’s are my childhood. I remember seeing a Pierre Trudeau puppet on Canada AM, listening to “Rhinestone Cowboy” on the radio, playing on a friend’s Spirograph and wearing really ugly argyle socks. 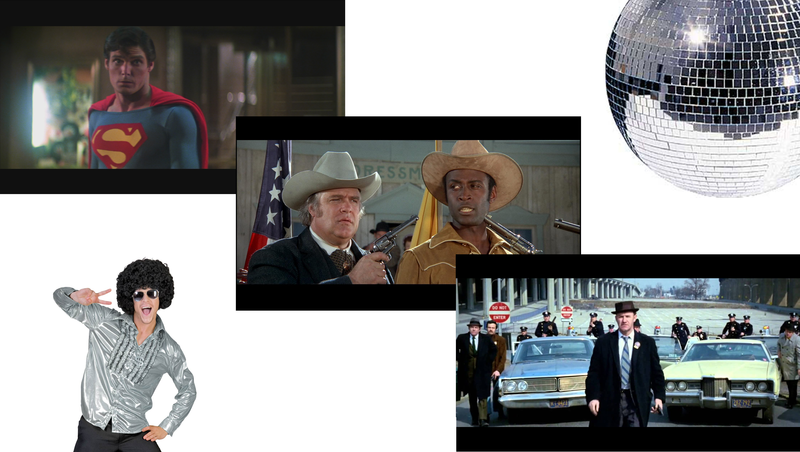 It was years later that I’d watch this week’s movie pics and I enjoyed each one. 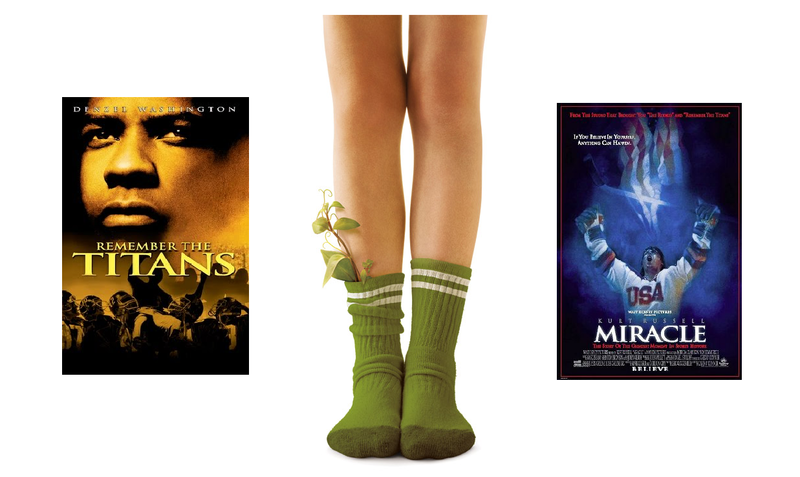 Which do you think should be movie of the week? Ever sit and wonder about what you’ve been able to achieve in life so far? Sometimes it’s an invigorating experience, sometimes it’s a depressing experience. Often when I read about a hero of mine or watch a documentary on some successful person I can start feeling like I’ve somehow missed out on greatness. But we all know that 1) it’s not fair in the slightest to compare human lives like that and 2) we are all our own worst critic. 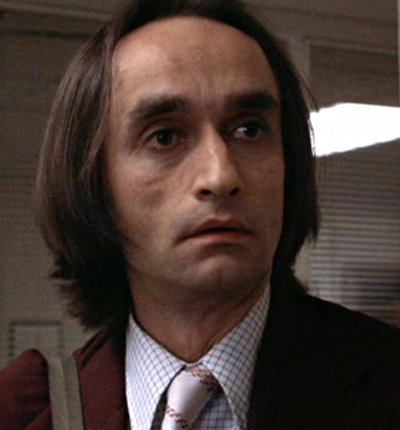 Cazale was able to star in five history-making movies in his acting career before his untimely death. Who can compete with that? But really, it’s good that no one can compete with that. It’s unique. Cazale’s family will cherish this record for generations. It’s good that there’s only one Mohammed Ali. One Princess Diana. One Martin Luther King. Comparing is a draining experience and accomplishes absolutely nothing. Sometimes I remind myself of the time I was chosen by my school to enter a variety show celebrating the 200th b’day of New Brunswick when I was 12. I suppose you can guess what my act was. Yup, imitating celebrities and politicians. Seven years later this very thing would help me earn scholarships through a talent competition that helped me pay for college. The first time around was John Wayne, George Burns and Richard Nixon (thank you Rich Little). The second time around was George Bush, Jack Nicholson and Sylvester Stallone (thank you cast of Saturday Night Live). I’ve had other highlights, such as getting ordained, becoming a professor, learning trades to establish my first business, and ring announcing for a local pro wrestling promotion. And don’t worry, I’m resisting the temptation to make an “accomplishment” out of my wife and kids. They are not my accomplishments. They are my life, yes, but I didn’t achieve them. Reminds me how much more often I should point out the accomplishments of others. Again, we often short-change ourselves and downplay the things we’ve done in life, acting as if they have no meaning or importance—so why not help fight back against those defeating feelings by reminding those around you of what they’ve done and what those things mean? Remembering my own achievements can be therapeutic and humbly satisfying. Remembering that of others’ can be illuminating and cathartic. 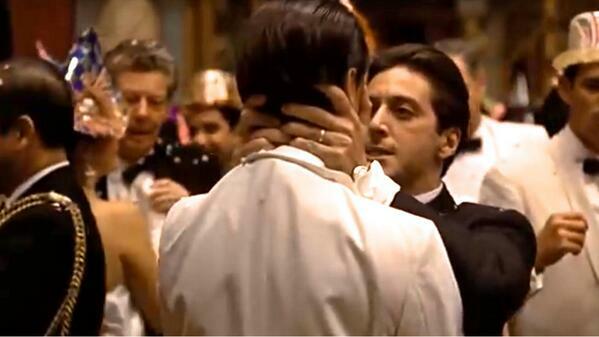 Congratulations The Godfather Part II. This is your week. And special congratulations to you John Cazale. You may not be a household name, but the best of Hollywood’s actors can’t compete with your perfect record. Best Actress: Talia Shire for her role in both The Godfather and The Godfather Part II. Best Actor: Wow, this week’s nominated movies are loaded with big time Hollywood legends. I’d like to give this one to James Caan. He’s the “other brother” who doesn’t get as much attention as Pacino, DeNiro, Brando, etc etc. Plus I liked him in Elf. Best Quote: “I’m a Catholic, I don’t want to hurt anybody.” Al Pacino as Sonny in Dog Day Afternoon. Newest movie on my watch list? I Knew It Was You: Rediscovering John Cazale. It was made in 2009 and is not only about him but also about the movies he was in and how they “defined a generation.” And here’s something I’ve accomplished today: fixed and painted a Kia Soul in the rain. Not too many people can say that. You may have never heard of this man, but he has a very unique distinction. One that I don’t believe will ever be duplicated. Because he tragically died from lung cancer at the young age of 42 he has only starred in five feature films. However, all five of them were movies nominated for best picture at the Academy Awards. All five! And they’re good ones. Four of them appear in the IMDb top 250 and are listed below. Which Cazale film should be our movie of the week? The fifth one, by the way, was a Gene Hackman film called The Conversation. I wasn’t sure I wanted to write about this subject. Mostly because sometimes I give the impression that I’m trying to shake a hornets nest. Au contraire, I’ve always been annoyed with argumentative rebels, especially the self-professed kind. But I do enjoy talking/writing about things that matter. I especially believe in this when the thing that matters so much has been relegated to being an elephant in the room. For the most part, tolerance is celebrated in our culture. But in some of the circles I run in tolerance is seen as a wolf in sheep’s clothing. Sometimes it can be a big, sweaty ol’ wooly mammoth that we wish would just lumber its way out of our room, take it’s stench and big behind with it and never return. Talking about it is painful. But then again, so are vaccinations, entrance exams and pulling off band-aids. I am afraid this is going to come across as pious, but I’m more than just tired of hearing these statements. Kinda makes me surly in fact. And can you blame me? For the last ten years or so I’ve been hearing these kinds of accusations from my children about each other! My kids are good kids. Very good kids. But like all children they have to learn to get along, and one of the toughest lessons for them to learn is to put themselves in another person’s shoes. “She did it first!” means little to me as a parent when discussing why a pinch, hit, or hurtful word has been hurled. My answer is usually something like “I’m not talking to her right now. I’m talking to you.” Isn’t that what we should be saying to ourselves? I mean, we’re grown adults, right? Elephant #1: My fellow Canadians. It’s 2015. Way overdue is our need to deal with our racial/language issues and move ahead. Let’s quit accusing the Americans of having racial tensions when we have our own and talk about it less than they talk about theirs. Warning: a piece of Canadian history trivia is happening in 3… 2… 1. Did you know our national flag was going to be three maple leafs in the centre, not one? The symbol was chosen because it was the only thing on the Red Ensign (or Union Flag) that looked distinctly Canadian. Know why they went with one leaf instead? Because the decision makers believed that Canadians would look at those leaves as English/French/Aboriginal and that the flag would become a dividing symbol. After a long history of being seen as agreeable, polite and kind in the eyes of other countries, let’s try making that global treasure more of domestic one as well. We’re not going to be united unless we tolerate and understand each other. For me, I’ve decided to stop complaining about Francophones getting jobs more easily than Anglophones. Not only am I not convinced anymore that it’s true, but Canada has faced much bigger challenges than that. If it bothered me that much, I could just decide to learn a new language. Doesn’t sound like a bad idea to me. Especially since more French Canadians have done that than English Canadians have. Elephant #2. My fellow Christians, I must say, we are terrible with these complaining statements (see examples above). So you think the LGBT community isn’t showing you tolerance? So what? What’s wrong with giving to those who don’t give to you? When I bring up tolerance with Christians and the gay community comes up, this complaint comes up every time. Every time. But I seem to remember an important figure in the church saying something about doing to others as you would want them to do to you. Sound familiar? Let’s show tolerance, love and acceptance. If we don’t get it back… big deal. Pouting gets you nowhere. Just ask Santa. Besides, how can trying to understand and get along with people be so difficult for people who value being like Jesus? How can promoting peace and harmony with fellow human beings be so frustrating? Are “those people” frustrating to you, whoever they may be? Well, I’m not sure God wants to hear that. When Peter asked Jesus, “What about him?” his answer was perfect: “What is that to you? You follow me” (Jn 21:20-22). Congratulations Remember the Titans. This is your week. 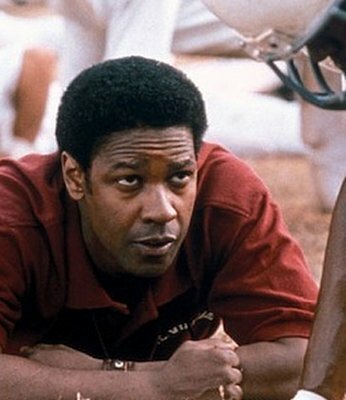 Best Actress: I was pleasantly surprised to learn that the assistant coach’s little daughter in Remember the Titans had become the cheerleader in Heroes. So the this week I think Hayden Panettiere is our best actress. Save the cheerleader, save the world. Best Actor: I’m a huge fan of Denzel, but for me the clear winner is Kurt Russell. He was nothing short of brilliant in Miracle. Definitely one of my favourite performances by an actor. Best Quote: “If we played ’em ten times, they might win nine. But not this game. Not tonight.” – Kurt Russell as Herb Brooks in Miracle. That speech gets me every time. 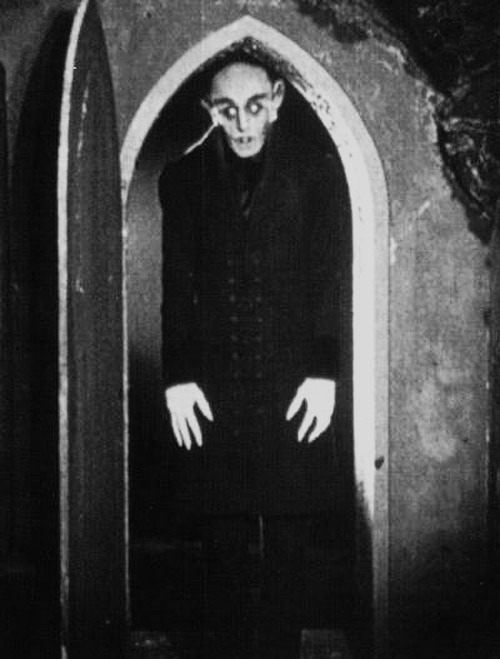 Vampires have crazy weaknesses. If the aliens stocked up wooden stakes, garlic, and were waiting to fight until sunrise, the enemy would just burst into flames and war is over. And there you have it. The aliens would win. Plus there’s one other reason. Even though I polled as much as I could, I still had a dead even heat between Predator and Lost Boys, two movies that I love. so I described the plots of both to my movie-loving daughter Erika. She didn’t like the sound of either. Too scary. So I asked her if she was forced to watch one which she would choose. And the alien won. 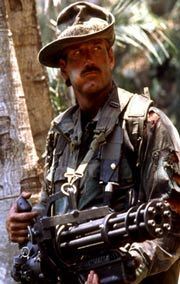 Congratulations Predator. This is your week. 5. The Day the Earth Stood Still (1951) – Selected by reputation. Haven’t seen this one, but I plan to. 2. District 9 (2009) – What a fantastic movie! One of the few alien movies to be nominated for best picture at the Oscars. 1. Signs (2002) – Super creepy. Love this one! 10. Twilight (2008) – Oh quit whining. You knew it had to be on this list. The books and movies made mad money. Hey, at least I put it at #10. 8. Abraham Lincoln: Vampire Hunter (2012) – My dear American friends, I had no idea. I really didn’t. 7. Interview with the Vampire (1994) – Tom Cruise and Brad Pitt. This one is dripping with star power! 2. Fright Night (1985) – Saw it when I was 13. Scared me to death—and I loved it! 10. Blood & Donuts (1995) – I am both hungry and grossed out right now. 9. Saint Dracula 3D (2012) – Has an IMDb rating of 3.3. Just makes you want to free up a Friday night, don’t it? 6. The Little Vampire (2000) – With the kid from Jerry Maguire. And it’s like Jerry Maguire, only it has a vampire and no sports agents. Plus, I’m pretty sure this movie’s terrible. 1. Suburban Commando (1991) – I actually saw this one. Hulkster, you did it again. I hope you’re proud. 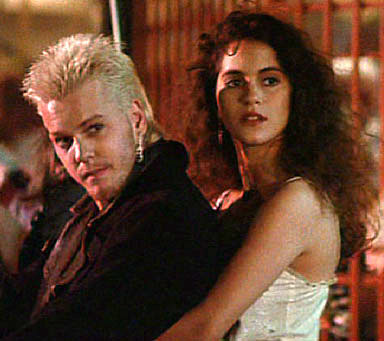 Best Actress: Jami Gertz for The Lost Boys. Best Actor: Ahnold. He’s not an actor who gets taken too seriously, but the man’s legendary. 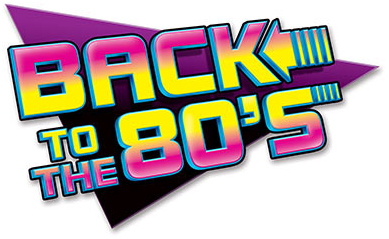 If you weren’t around in the 80’s you just don’t understand. Here are three movies that were made in the 80’s and that I watched in the 80’s. Which will be this week’s movie?